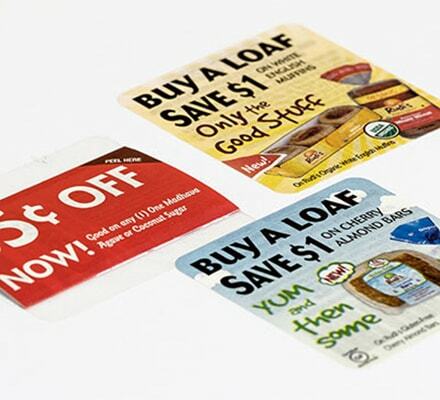 Instant Redeemable Coupons or IRC’s help sell your product. We have the expertise to produce these for a variety of retail environments including frozen products. 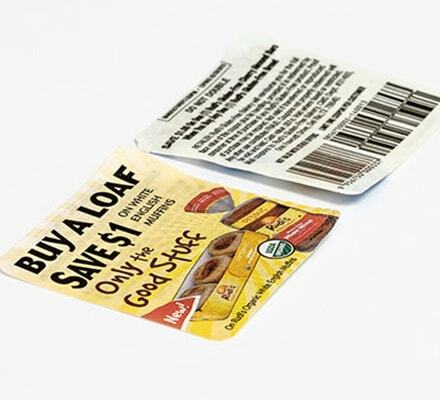 The two-ply construction allows the consumer to cleanly peel and redeem the coupon without any adhesive residue.